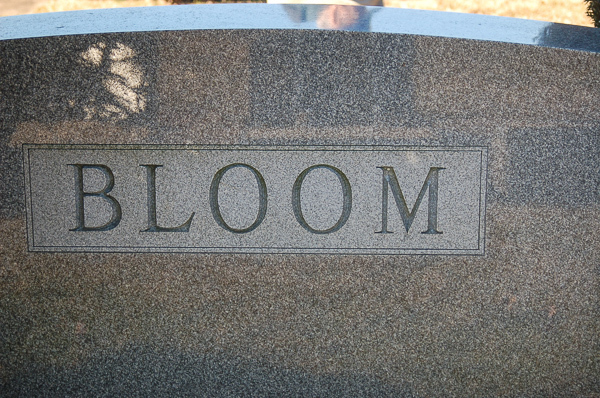 Samuel I. Bloom emigrated from Russia to Baltimore, Maryland. 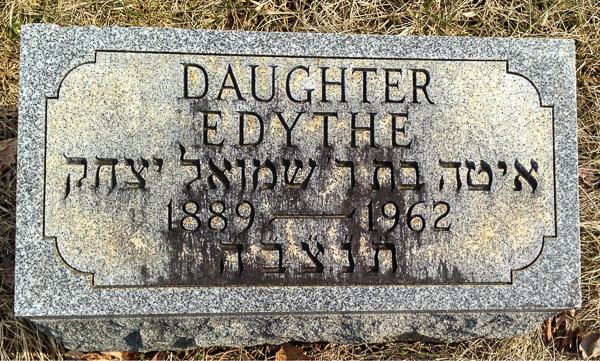 This is a different family than my Bloom ancestors who emigrated from Germany to Pine Bluff, Arkansas in the mid-1800s. 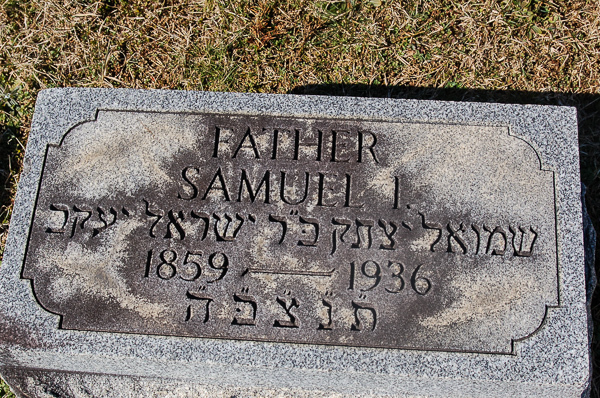 I found Samuel I. and Ethel Bloom at www.findagrave.com. 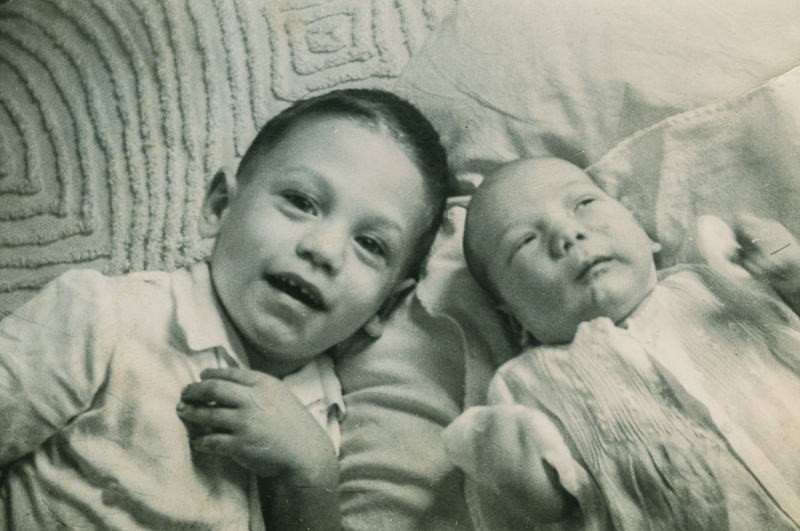 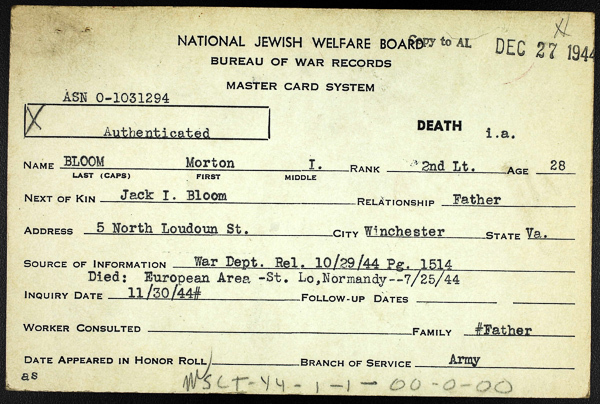 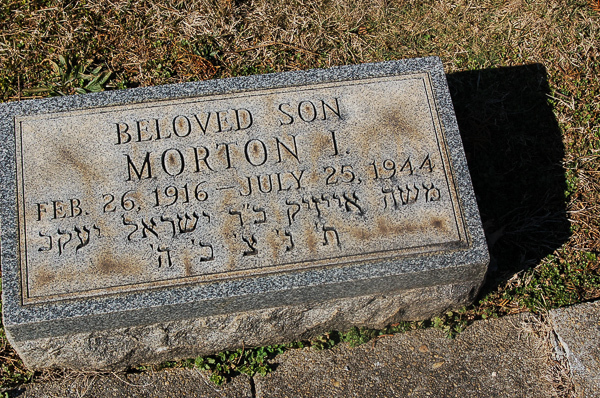 Second Lieutenant Morton I. Bloom (son of Jacob I Bloom and Lillian Bloom; grandson of Samuel I Bloom and Ethel “Etta” Bloom) was killed in World War II on 25 July 1944 during fighting at St. 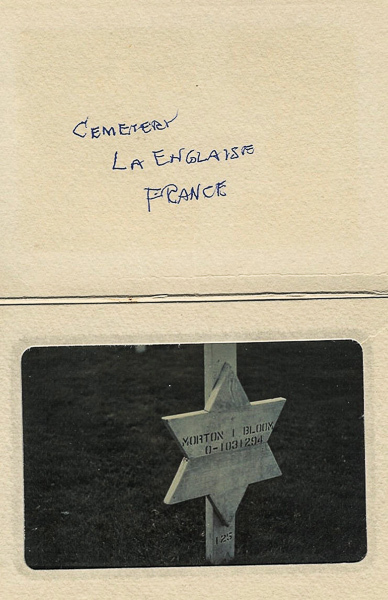 Lo, Normany, France and he was buried there. 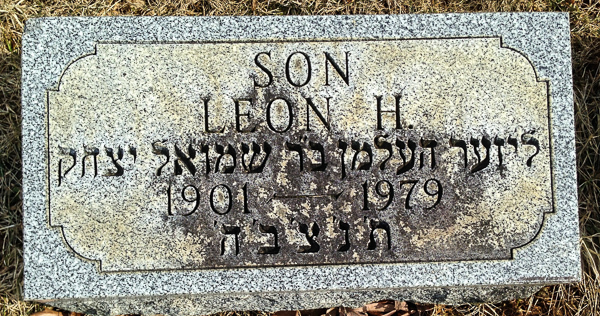 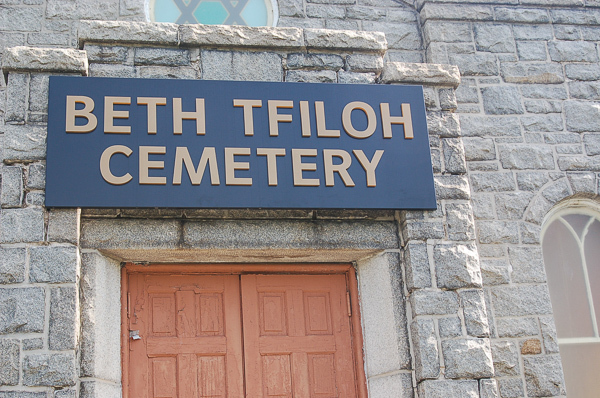 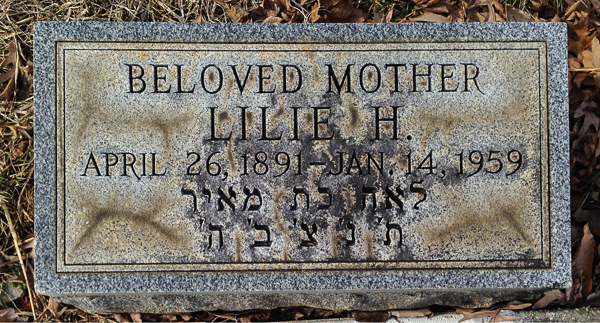 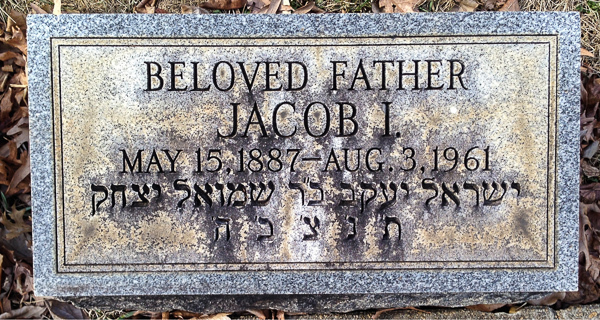 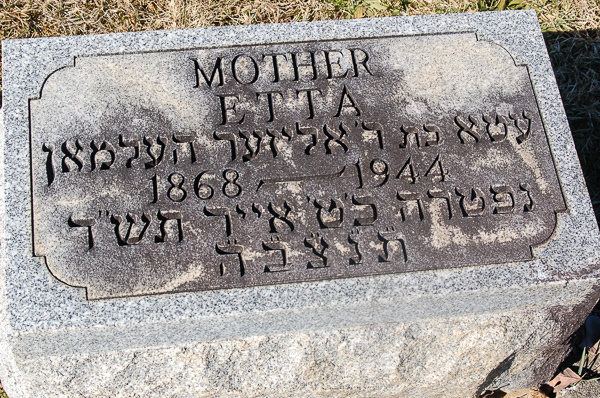 His family put a memorial stone in the family plot at Beth Tfiloh Cemetery in Baltimore.